On #GivingTuesday November 27, 2018 help us turn up the volume on Canadian voices who protect the natural health industry and informed choice. 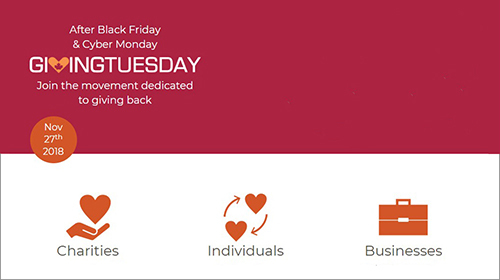 Giving Tuesday harnesses social media and the generosity of people to bring about change; it encourages giving one’s time, resources and talents to address local and global challenges. It brings the collective power of partners – nonprofits, civic organizations, businesses, corporations, families and individuals – to inspire and amplify acts of kindness. Across Canada, Giving Tuesday unites us by sharing our capacity to care for and empower one another. This year, be part of the solution with us.